Marketers know the more focused their efforts are, the more successful they will be. The key aspect of most marketing strategies is to determine just how focused an enterprise can feasibly become – what is the smallest market segment that can meet commercial goals? How can you tailor your messaging and offerings while maintaining continuous access and growth? In this era of completely personalized Web experiences, B2B firms are reassessing their answers. Account-based marketing, or ABM, is one result of this revision process. ABM is an efficient, high-level perspective on marketing that requires you to define and align with a narrow list of high-value target accounts. This drills down even more deeply than the average B2B approach, which revolves around buyer personas describing potential customers. Accounts are pre-qualified, potentially shortening the notorious B2B sales cycle. Sales and marketing professionals can both invest their limited time more wisely. You can foster rapport and trust more easily due to truly customized messaging. Account-based marketing isn’t difficult to get started with. It simply requires a small shift in your perspective. Once your teams have done some initial research and setup, you’re likely to observe impacts on your workflows – and your bottom line – almost right away. Your target accounts are a small, select group of enterprises that can generate sufficient revenue and follow-on opportunities. They must be a good fit both in terms of their qualifications and the value you can offer them. Your existing customers will typically be first on your list. It’s essential to know your target accounts inside and out. That means a deep dive on research, even if you’re working with familiar enterprises. What are their pain points? Their constraints? What is driving the tempo of their industry? Who are their main decision-makers? Once your research is done, move forward by structuring behavior-based marketing campaigns. You’ll need a formidable sum of customized content, with pieces aligned to each step of the 3-stage buyer journey. Each campaign should have forking paths based on user activity. Without a closed loop between sales and marketing, ABM efforts will short circuit. 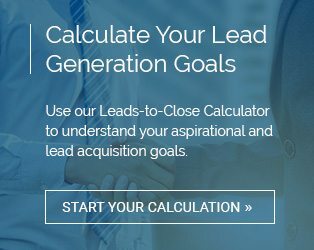 Leads must be handed off to sales in a timely, efficient manner and new insights from the sales team must make their way back to marketing. A Customer Relationship Management suite is indispensable. ABM is an ideal revenue-boosting solution for companies with specialized high-ticket offerings that appeal best to a definite group of firms within their industry. Done correctly, it can raise revenue while cutting overhead.